After her divorce, Paula felt very alone and did not have much confidence in herself. She had devoted her entire life to taking care of her husband, children and anyone else who happened along the way. She did not feel that she was worthy of contributing to the world unless she was giving others what they needed. What she failed to realize is that until you learn to love yourself and gain confidence that you are limiting how much love and devotion you are able to give to another. In time, Paula learned to love herself and her confidence boomed. She was happier than she had ever been. To accept yourself is to love yourself. Know that you are human. You have made many mistakes and will make many more in your lifetime. You are human and it is okay to be human. You will experience grief, anger and sadness as well as happiness, joy and laughter. Know that every person that came into your life and every challenge you have overcome has made you the way you are today. Give yourself permission to feel all your feelings. Experience them fully. When you begin to experience all your emotions, you will find that a transformation is taking place inside you. You will be able to let things go. You will be able to forgive yourself and know that you are perfect just the way you are. Dare to be you! What are your likes and dislikes? What have you always wanted to do but have been afraid to admit? What were your dreams when you were a child? Stare fear in the face and begin to do all the things you have dreamt about. go back to school and get the degree that you have always wanted. Learn to paint, cook or play tennis. The world is your playground. Explore what it has to offer you and take advantage of every opportunity that is there for you. To start doing new things is one of the fastest and easiest ways to gain confidence. Learn to love yourself by nourishing your body and soul. You have expended so much of your energy between taking care of others and the stress of your divorce. Replenishing your energy by getting enough sleep, eating healthy, learning, meditating and playing will get you back on track. Get a new hairstyle. Many women report they feel as if a huge amount of negativity fell off them when they cut off their long hair. Pamper yourself by getting regular mani-pedis and massages. Relax and learn to receive compliment. Take yourself out to a nice dinner or buy yourself a large bouquet of flowers. Loving yourself means that you give yourself value. Connect with your heart and learn to listen to what it is telling you. Place your hand on your heart, close your eyes and take deep breaths. Bring your awareness to the love emulating from your heart and direct that love towards yourself. Focus on you - your desires and needs. It is not selfish to say "no" if it does not fit with your values or if you just need time for yourself. Challenge yourself to look in the mirror and say, "I love you," to yourself for the next 30 days. You will be amazed at how your confidence has grown and how much better you feel about all aspects of your life. Make a commitment to create a better future for yourself. Decide right now that you will do whatever it takes to get to where you want to be. Decide to lovingly embrace your fears as you step out of your comfort zone. Get out of your own way by refusing to believe those gremlin thoughts that try to make you believe they are keeping you safe. Treat them as roadblocks and choose to take another route. Remind yourself that you are headed in the right direction. The more you learn to love yourself the more you gain confidence. This is when an amazing thing begins to happen. Everyone around you will begin to care for you with love and respect that you desire. This is because the way you take care of yourself teaches others how to treat you. If you find it difficult to love yourself, speak to a divorce coach who will help you uncover what is blocking you from living the life that you want and deserve. Cindy Holbrook is a certified divorce life coach and founder of CoachingForDivorcedWomen.com. She has coached divorced and divorcing women for over 20 years. She draws from her own experience, having left a 20-year emotionally abusive marriage as well as the knowledge she has gained through-out the years. Cindy understands your fear, despair, loneliness and confusion. To heal, love and find inner peace sign up for her weekly newsletter at http://www.coachingfordivorcedwomen.com/coping-with-life-after-divorce-newsletter and receive two free MP3s, "The #1 Mistake Divorced Women Make" and "How to Forgive Betrayal." As always, I am delighted to have you join me here on Empowerment Moments Blog. Like my page on facebook here and receive more inspiration and blessing. If you are new here, you may subscribe to receive articles directly into your inbox. Sign up form in the right hand column. God bless you and may heaven smile upon you today! I cosign every section of this article. This is why I write my blog. I am on a journey to discover myself. A man once told an retired professor in the street that I need to look after myself first before I can look after anyone else. And he was just a random stranger who just stopped to talk to me. I think we get messages, and He sends us people to give us messages too. Since then, I've been doing my best to never forget myself. 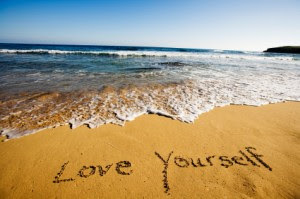 I wholeheartedly embrace the post The Most Important Person In The World that you wrote, link in your comment above as an extension to this article on loving yourself. Many times we wait for others to love us, and we neglect the part about loving ourselves. Also, we can only love others to the degree/extent to which we love ourselves. Great addition to the blog by why you have shared. Thank you and have a great day/weekend!